The Great Wall of China! One of the New Seven Wonders of the World! Our bus ride to Mutianyu walls a two to three hour drive from Beijing. 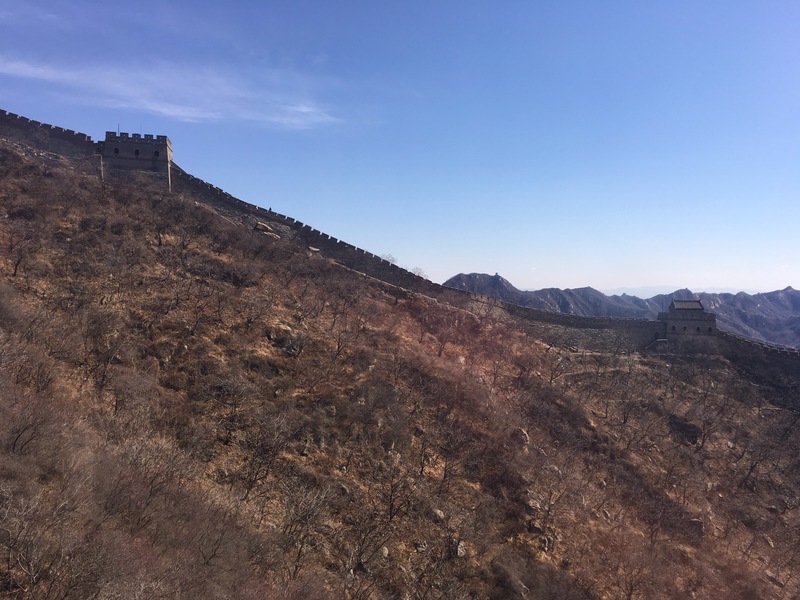 As the Great Wall came into our sights from the distance, we wall got very excited! It was quite unbelieve-a-wall that we were mere minutes to actuwally touching this this wallnderful wall. 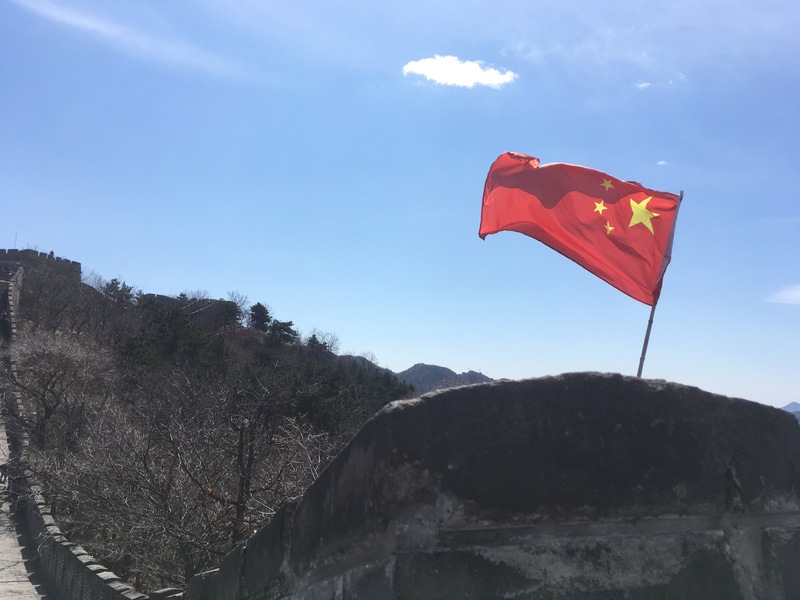 The Great Wall of China is…well, yeah. It’s great! And it’s a lot of work. 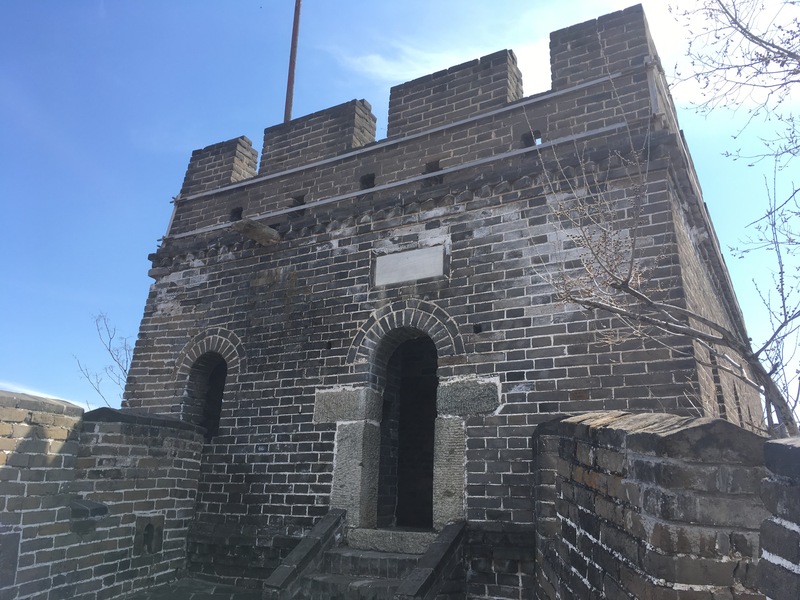 At least at the Mutianyu site, there is a lot of climbing and walking up steps involved. Climbing up a slope to the ticket office. Climbing up another slope the cable cars. There is an option to climb up the hill to the wall…I opted out of that one. Climbing up and down the wall. Climbing the turrets. Turning around and climbing in the opposite direction. Maybe I’m making it sound like a lot of work, but you know what? It is a lot of work. And it’s also completely worth it! The views from atop the wall are stunning! The mountain range in the distance looks different and more beautiful every time you turn around. It was hot up on the wall. When it came time for us to head back down, we did it in style! 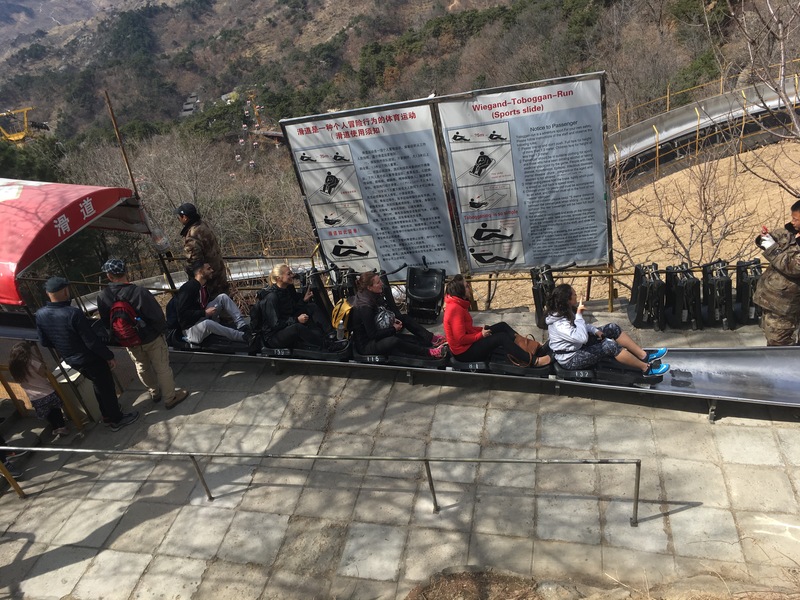 They have build a winding track with toboggans to whisk you back down to the bottom. It was so much fun! And it ended with a big Subway lunch, which might have been the best meal of my life.